A sneak preview: I’m re-printing Pedagogy as Dissent in time for Stumptown Comics Fest. For those of you unfamiliar, this was my undergraduate thesis. It details my adventure of researching quotidian narrative in radical comics, specifically the comics of artist Nicole Schulman. While the comic itself is the same, the cover art and other design aspects will be slightly different this time around. 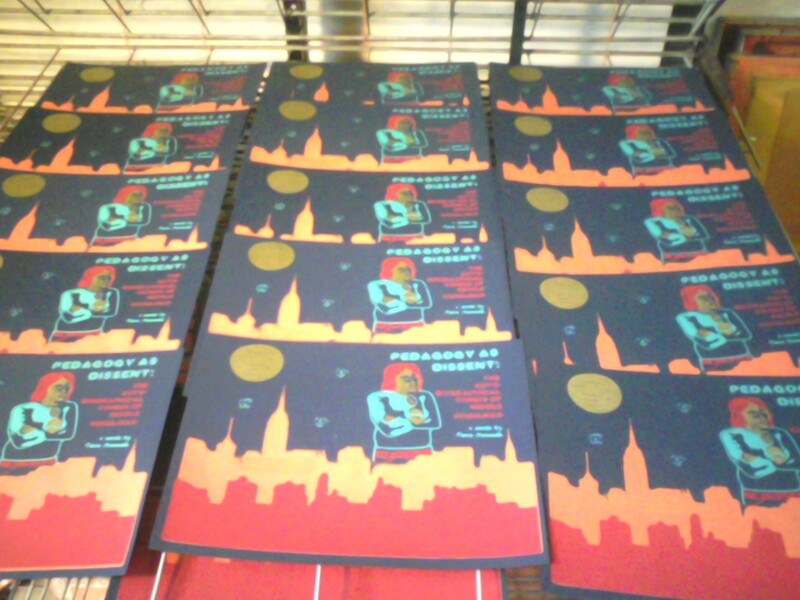 The second edition covers (pictured below) were printed at Flight 64 Studio in Portland.